Cardholders! 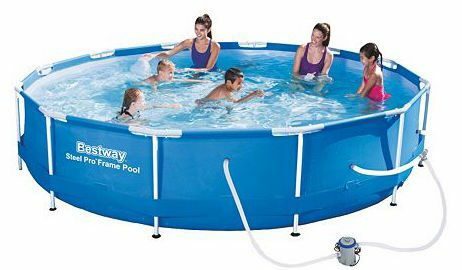 12-ft. Steel Pro Frame Pool is on sale for $124.99, but you can get it for Just $87.49! (Reg. $250!) AND it ships for FREE! Kohl’s cardholders just use promo code REFRESH30 to get this great price. Not a cardholder? Use promo code CATCH15OFF to bring the price down to $106.24 and still get FREE shipping! This Bestway pool is the perfect place for your family to hang out and cool off on those warm summer days.